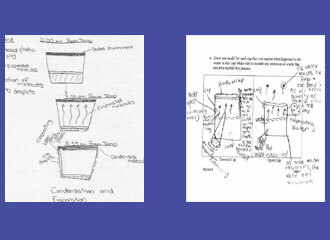 MoDeLS project, funded by the National Science Foundation's Instructional Materials Development program, i s working to develop a theoretically-grounded and empirically-supported learning progression for late elementary and early middle school students with regard to their modeling practices and metamodeling knowledge. MoDeLS is refining or developing modeling-enhanced curriculum materials for students and teachers in these gr ades, and exploring students' learning using these materials. 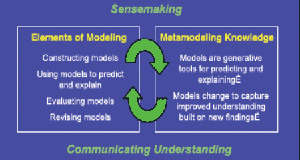 MoDeLS works with preservice and classroom elementary and middle school teachers to develop the expertise needed to engage students in scientific modeling, and explores the teachers' learning. MoDeLS uses a mix of qualitative and quantitative research methods. Case studies following classroom discourse analysis show explicit metamodeling knowledge discussions. Observations of students' engagement with the modeling practice, Focus Groups and Individual interviews are also part of the qualitative research methodology. Assesment Items and Construct maps are used as part of the quantitative methodology to test and validate the Learning Progressions. One of the journal's top downloads and selected for inclusion at the Research Dissemination Conference at NSTA 2010 !! Developing a learning progression for scientific modeling: Making scientific modeling accessible and meaningful for learners. Schwarz, C.V., Reiser, B.J., Davis, E.A., Kenyon, L., Acher, A., Fortus, D., Shwartz, Y, Hug, B., & Krajcik, J. (2009).Journal of Research in Science Teaching 46, 632–654. "I revised my model because we all picked the best, we picked the best one outof each one's. Well, we didn't just pick the best and use it, we looked at everybody's and we decided what was good about everybody's and we put it into one model. Well, we had everybody's opinion on, uhm, but like, we even had opinions on should it be this way or this way. And we had decisions on like the attractions. We decided that we liked how the particles were attracting to each other. Uhm, some people thought that the words were too complicated, that there were too much words, it was too hard to read, to understand. Some people decided on that, too."